As we close out Women’s History Month, it is important to highlight the talent of women who are being tapped for leadership positions. There are amazing female leaders whose contributions to STEM are creating new futures for tomorrow’s students. The hard work of women in uncharted territory is opening doors for young girls who may have never previously had access. STEM jobs occupy the economic opportunity space and women are leading, innovating, advancing technology, and delivering higher revenues for companies. In the competitive space of transitioning startups into established businesses, women are having just as much success in leadership as men. Companies that value diversity understand how to harness the leadership assets, STEM skills, buying power, and market voice that women bring to the table. From grade school classrooms to board rooms, gender gaps continue to persist. However, the tide is turning. Women are starting to sell their skills and assets, and demonstrate more assuredness in the workplace. It is still challenging for women in male-dominated STEM industries, yet women continue to make sacrifices to work in these environments where cultural norms are intimidating, and systems continue to support exclusionary behaviors. With the uptick of mentoring programs that match women with experienced leaders, we are steps closer to shattering glass ceilings. Big shift advancements with automation, artificial intelligence, electrification, and 5th generation technology demand interpersonal skills that are uniquely human. These are skills in which women consistently demonstrate an advantage over men. Making environments with both machines and humans ideal for women to lead. 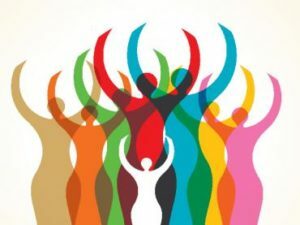 So, as we wrap up Women’s History Month, let’s continue to develop, activate, and spotlight the untapped talent of women for STEM leadership roles and board positions. After all, we are the best suited to lead the future of innovation and technology!